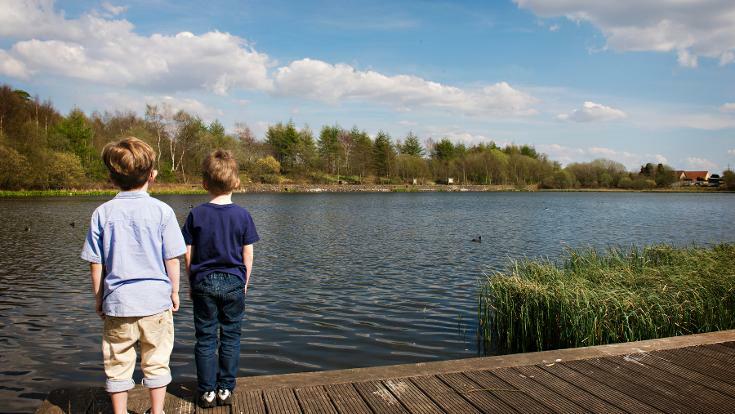 Glenboig Life Centre is being developed by Glenboig Development Trust as a hub for local community activities - and a starting point to explore the Seven Loch's industrial heritage and the nature that survives and thrives despite this industrial past. 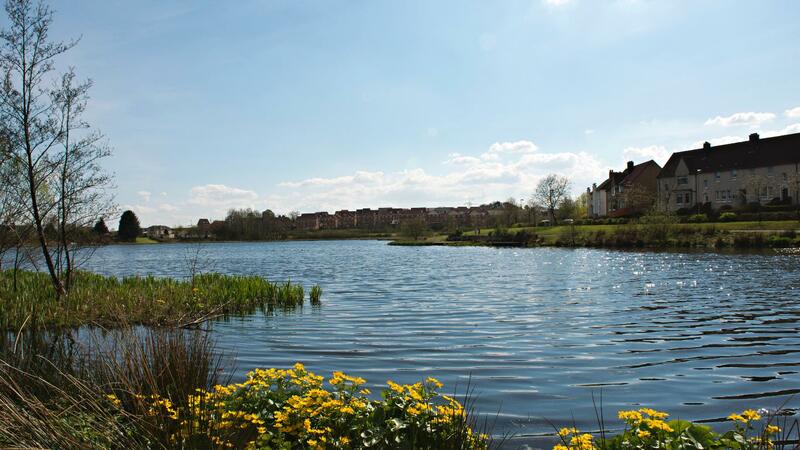 Garnqueen Loch adds a natural beauty to Glenboig Village Park, and nearby Gartcosh LNR was created at the former Gartcosh steel works to provide a home for Scotland's largest population of great crested newt. The woods and heathland either side of the railway between Stepps and Gartcosh are some of the wildest parts of the wetland park - home to roe deer, water vole and buzzard. The industrial revolution had a huge impact on the villages of Glenboig and Gartcosh. The opening of mines and factories saw Glenboig's population soar from 120 in 1860 to over 1500 in 1890, and Glenboig Fireclay works on the edge of Garnqueen Loch produced thousands of bricks and tiles that were shipped across the world. While this Industrial past has left its mark on the landscape, this part of the park also shows how rare and protected wildlife - such as water vole and great crested newt - can survive and thrive in unlikely places. 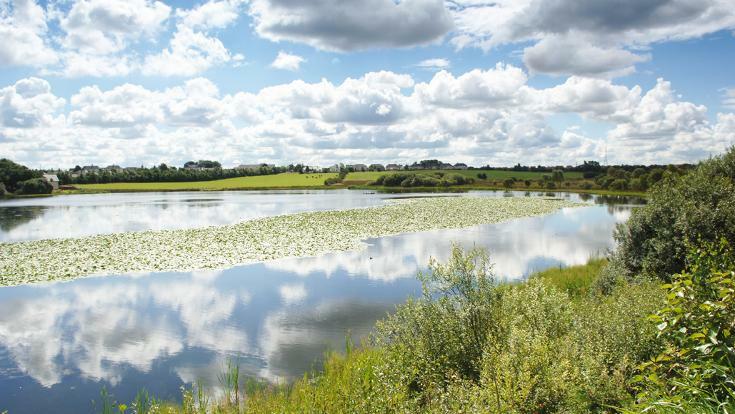 Created following the closure of Gartcosh Steel Works in 1986, the ponds and wetlands of Gartcosh local nature reserve are not only home to Scotland's largest population of great crested newt, but provide habitat for other amphibians, water vole, dragonflies and wetland plants. The wooded edges of Johnston Loch make it a great place for water birds, and in summer the loch has a fantastic display of water lilies. The loch is also a fishery, so you'll often see fisherman casting their lines across the water - and cormorant after their share of the catch. Garnkirk Moss is the largest peatland in the Seven Lochs. An atmospheric mix of birch woodland, heathland and wetland makes this area one of the wilder parts of the park. Small ponds around the peatland edge are home to many kinds of duck - including teal and tufted duck. Cardowan colliery dominated the landscape of this part of the park from 1924 until the early 1980s. On 16th Nov 1932 a huge explosion caused the deaths of 11 miners. When the pit closed the steam driven winder was dismantled and is now displayed at Summerlee Heritage Park, Coatbridge. The scrub and grassland that covers the old colliery bings is home to lots of small mammals, and you may see a kestrel hovering over the grassland, or the ghost-like shape of a barn owl hunting at dusk. The Glenboig Gateway is a great starting point to explore Glenboig Village Park. 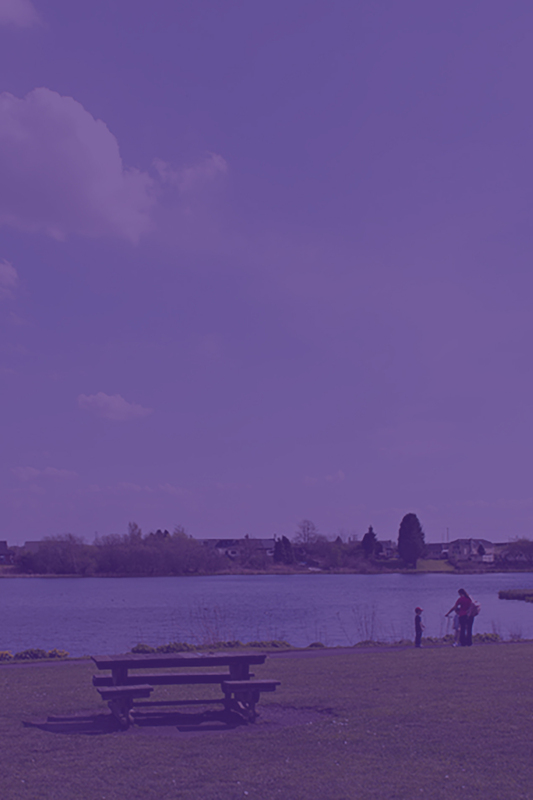 Opened in 2004, the Village Park is a great example of local community action to improve green spaces. 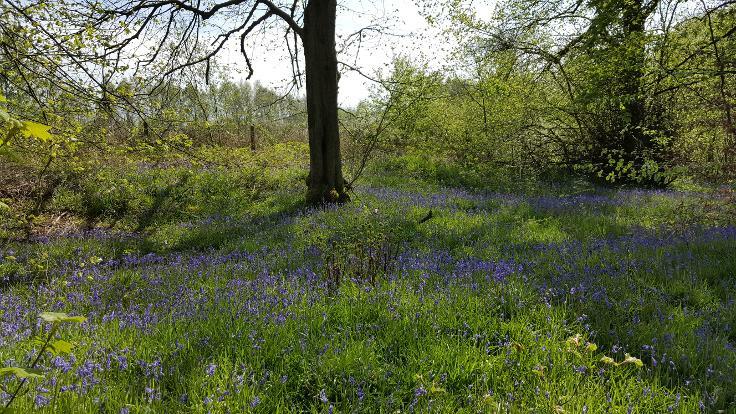 As well as a well-stocked play area there are woodland paths which take you up to the remains of Inchneuk Tower and great views over the surrounding farmland. The popular 'Ducks Walk' links Glenboig to the network of paths at Gartcosh local nature reserve. Glenboig Life Centre is at 110 Main St, Glenboig, ML5 2RD. It is a 30 min walk / 15 min cycle through Gartcosh local nature reserve from Gartcosh Station. Local buses stop outside the Centre.